You probably learned all you wanted to know about me on the ABOUT page, but if you're in search of additional information, you can check out the RESEARCH and TEACHING pages, or my CV. 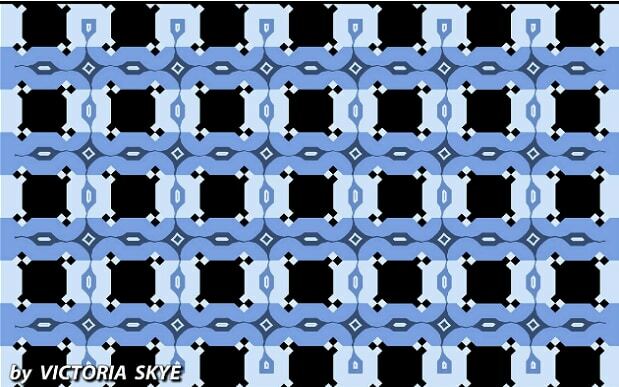 If that's not enough, I invite you to stare at THIS mesmerizing optical illusion. ​Sam is fascinated by metaphors and is interested in how they shape how people think about complex issues. His senior thesis is exploring the role that speaker and listener identities, including gender and ethnicity, might moderate the efficacy of metaphor framing. Edona is passionate about mental health and wants to understand the factors that influence people's lay theories of clinical disorders. Her senior thesis is investigating the effects of war metaphors on people's intentions to engage in self-limiting behaviors that may reduce the odds of developing a drug addiction. Katie is interested in both forensic and clinical psychology and believes that a deeper consideration of neurodiversity is critical in both fields. Her senior thesis investigates whether people judge the alleged perpetrator of a crime differently when they are described as having a clinical disorder characterized by social communication deficits, and whether the specific language used to describe this condition matters. Kiera is fascinated by the various ways in which we use technology to increase our cognitive powers. In her senior thesis, she is examining whether a specific consequence of cognitive offloading, the "saving-enhanced memory effect," applies to memory for spatial relationships in addition to linguistic stimuli. ​Abbey is interested in the relationship parental mental health and the language they use when speaking to their children. Her thesis, which is co-sponsored by Professor Carolyn Cates, is specifically looking at whether the presence of maternal depressive symptoms is associated with the quantity of internal mental state language they use with their children. Melissa is interested in how parental language shapes the developments of their children. Her thesis, which is co-sponsored by Professor Carolyn Cates, investigates whether maternal mental state talk predicts delay of gratification abilities in low SES Hispanic preschool children.